What would happen if you found a stray nose lying on the ground? What would happen if the nose was just your size and attached to your face just right? If you're anything like the star of The Extra Nose, you'd take a nasally-enhanced adventure and explore things with odors so nice you'd smell them twice. At once. 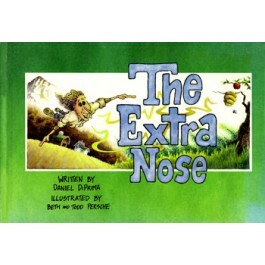 An original story with hilarious illustrations of a protagonist with two noses. 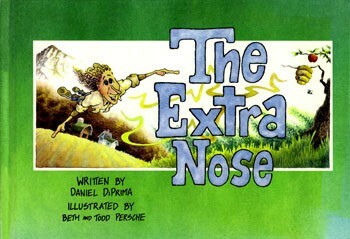 The Extra Nose also teaches an important lesson about the dangers of greed.